Have you seen a sweeter looking baby shower? I had the privilege of working with Lauren and her mom for her wedding a few years back and just loved getting to celebrate this next step with them as they welcome a little boy this Spring. The theme was bears and adventure with a classic twist! How cute are all the details! 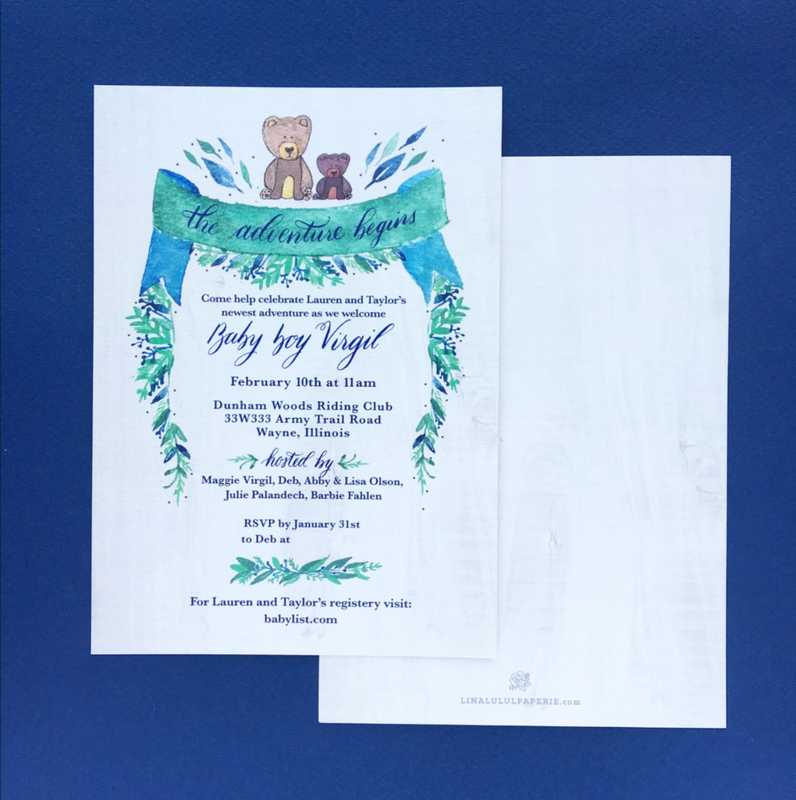 I had so much fun working with Deb from the concept of the invites to all the day-of pieces. My favorite piece is the Peter Pan quote that will hang in the nursery. Congratulations to Taylor and Lauren as they celebrate their little boys arrival! Over the holiday's I had the opportunity to celebrate my sweet friends Corrie and Matt and their baby girl! I met my sweet friend Corrie through mutual friends back in high school when they both knew Corrie and I were going to the same college. Fast forward a handful of years later, all of us being married, and now she's having a baby! To celebrate, a handful of our friends threw the most adorable outdoor themed baby shower. 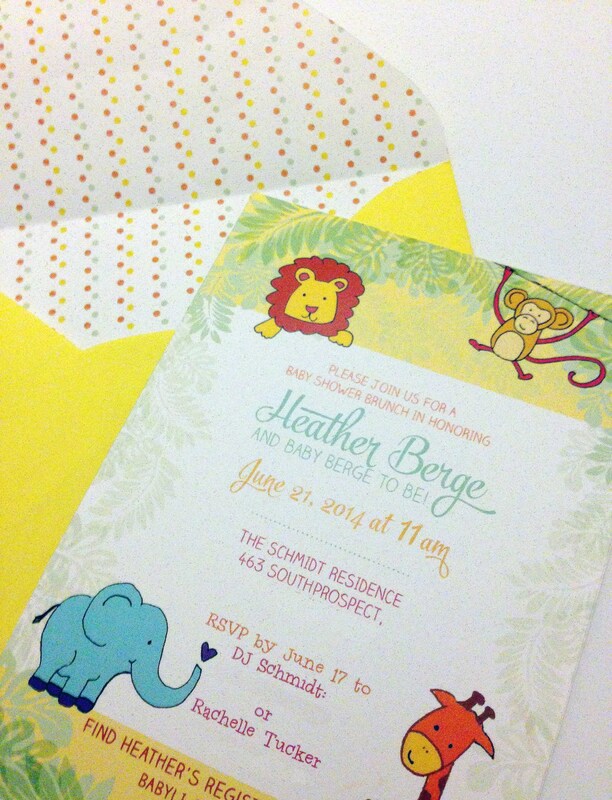 I loved getting to design the invitation and are so excited to meet their new baby girl this spring! Congrats Corrie and Matt! Another one of my sweet Sister-in-laws is expecting and this will make my seventh niece or nephew! To celebrate my mother-in-law threw a "Time" themed baby shower, complete with "It's Baby Time!" invites. I loved working on the illustrations for this one and thinking of all the sweet things new Baby V will be getting and doing in the near future. 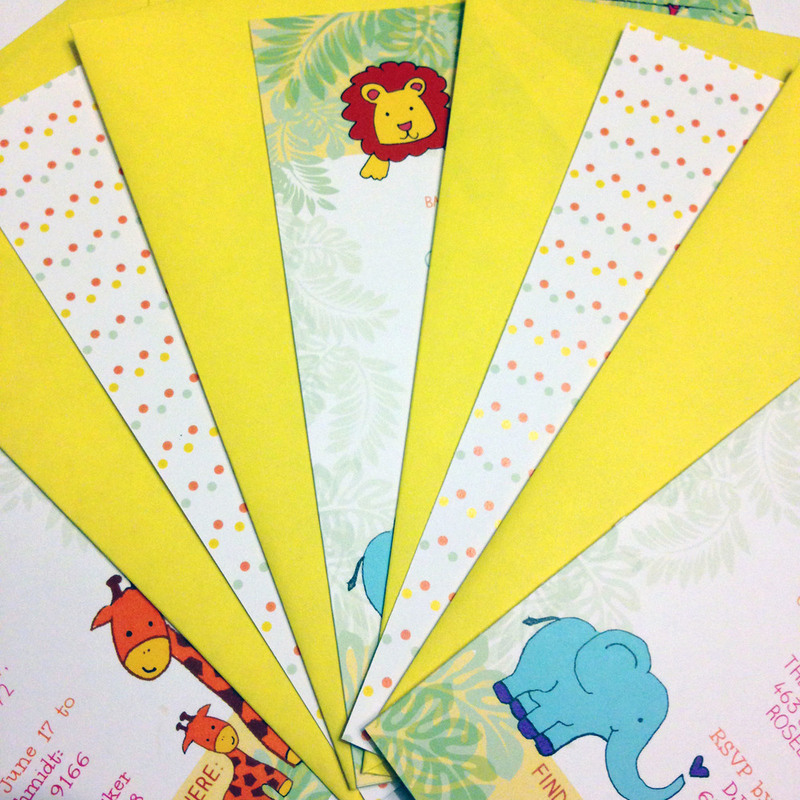 The invite included a "time of day card" to let the guests know which part of the day their gift should be the centered around such as "Bath Time", "Nap Time", "Play Time", ect. So clever and a fun way to involve the guests in the theme. Unfortunately I wasn't able to celebrate that day with family as we were out of town, but I'm so excited to welcome the little one and celebrate with the wonderful parents to be this fall! This past summer we celebrated the coming birth of my sweet cousin Laura's third baby and third little boy - Crosby Thomas. We found out she was decorating the nursery in a Noah's Ark theme and then asked if she had a quote, verse, or lyrics she wanted framed. This project was so fun for me to work on! I loved combining my illustrations of all the happy creatures (great and small) with calligraphy. I used a premixed ink and regulated the pressure and amount of ink on the nib to give the letters an ocean feel of dark and light blue. As well, I added a little more swashes then I usually would for a "masculine" print to help give it that moving water look. 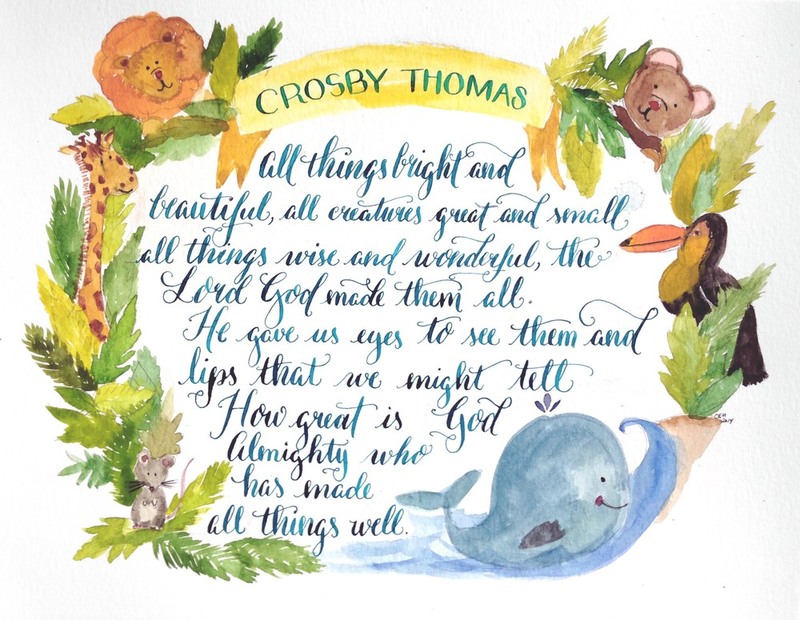 I loved working on this piece and I love that sweet Crosby and his brothers will see it everyday reminding them of all the great things our Lord has created.